Miscellaneous | Toyota faced a problem. Or rather: it expected a problem. The youngest Japanese generation shows little to no interest in cars. Also, most Japanese Toyota dealers are highly specialised and carry only a few models. To make matters worse, salespeople are just as pushy in Japan as anywhere else in the world. The solution is the "Toyota Mega Web": not a website, but the largest Toyota showroom in the world, where no cars are being sold. 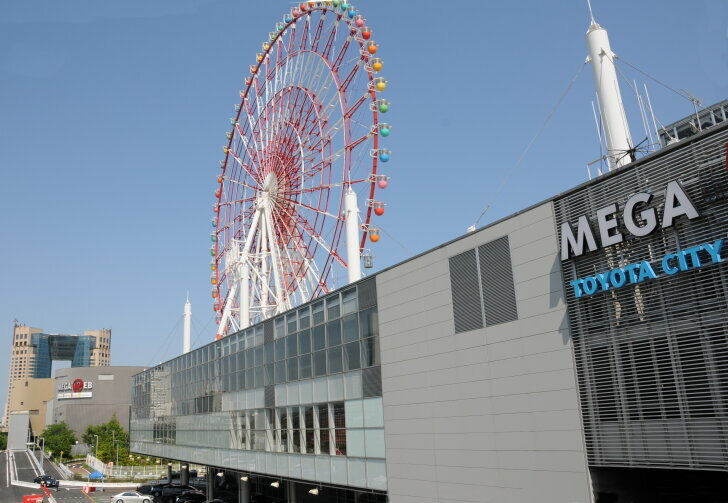 There's no need to search: Toyota Mega Web has a giant Ferris wheel, so the building can be seen from afar. 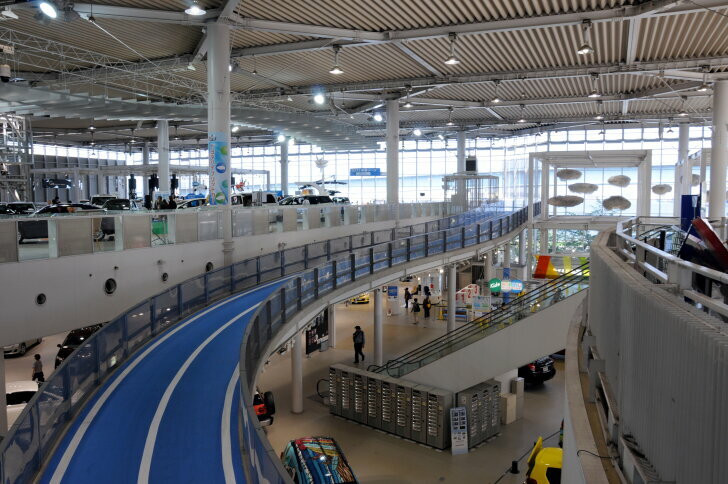 Around the building is Toyota's private test track, so customers can take a test drive without the stress of daily traffic. Let it be very clear: Toyota Mega Web is big, really big. The showroom has several levels which are all separated into themes. Everything must differ from a normal, sales oriented showroom. 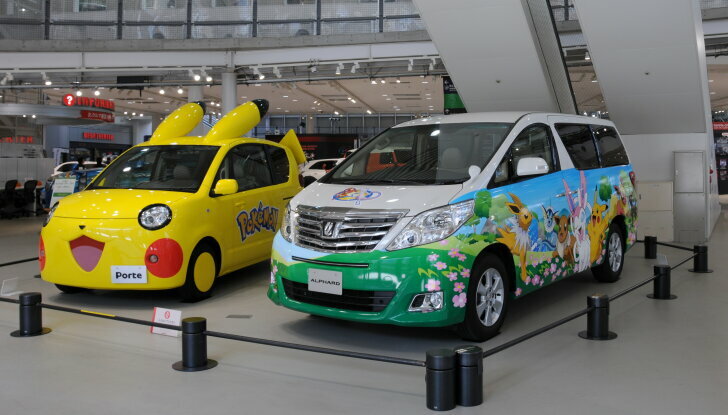 Visitors are greeted by two customised cars ("Itasha") honouring the upcoming Pokemon film. Near the Pokemon cars the first attraction can be found: a go-kart track where the smallest hybrids in the world can be raced. These skelters are powered by an electric motor and human power, so they qualify as true hybrids. Just as interesting is the possibility to assemble your own hybrid go-kart. To add to the excitement, one can race a virtual Toyota GT86 on a simulator. 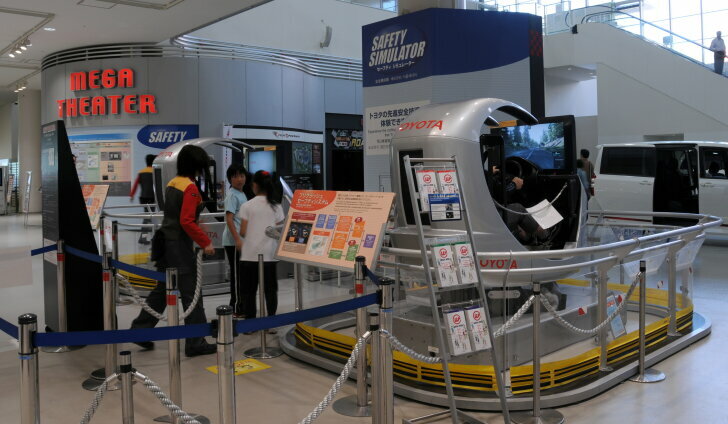 A tip: the accident-simulators right next to it are in fact even more exciting. They demonstrate how an accident can occur and which technology Toyota offers to either prevent it or soften the blow. And don't forget the 4D film just around the corner; it will truly move you! Everything exudes that this is not an average showroom. The cars in this showroom aren't the main attraction, they are merely decorations. Yet to the European visitors they can be just as interesting since many models are exclusive to the Japanese market. How about a Toyota Aqua, Alphard, Vellfire, Sai, Isis or Wish? Just like elsewhere in the world, the "GT86" is the sports car for the average man. The "GT86 Club House" shows the coupé in both race specification and street attire. 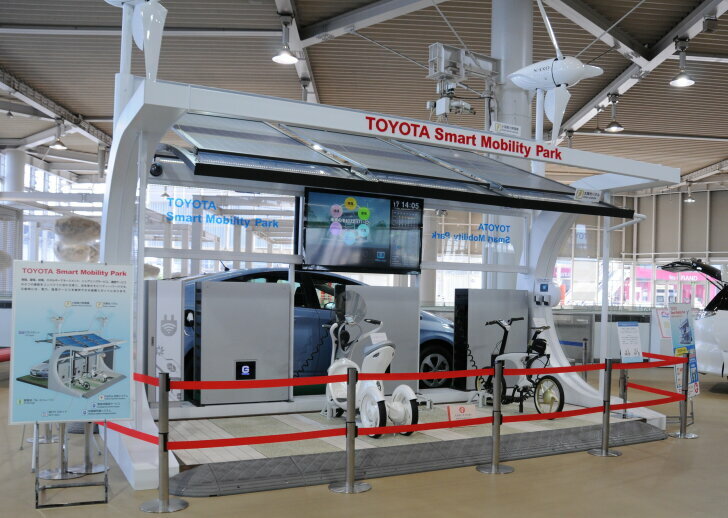 "Toyota Mega Web" is presented as a car theme park and so there's the obligatory souvenir shop. It offers rare toy cars, construction kits, books and other memorabilia. Even items that have been out of stock for years are still available here (at a price). Bring plenty or cash or stay away from this shop for your own protection! In "Hybrid Wonderland" Toyota shows all current hybrid models, and yet again that's a lot more than is available in Europe. There's even an exclusive sports trim for most hybrids and it makes them look good! Please bring those to Europe. At Lexus the roles used to be reversed: Lexus was first available outside of Japan and only recently conquered the home market. 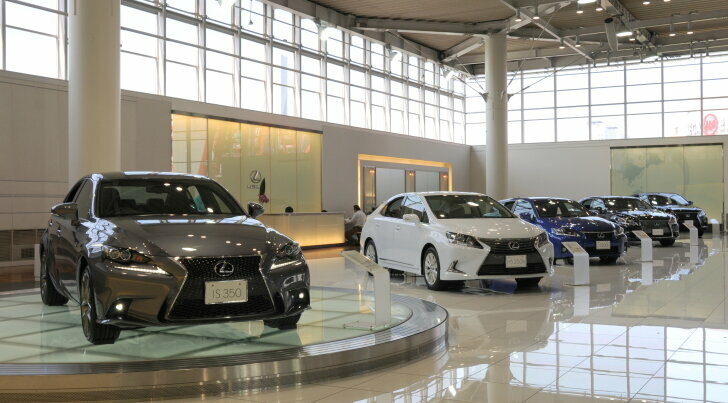 Like it should be, the Lexus showroom has a true premium look. Because Mega Web is Toyota's showcase, the latest models are first shown here. On the day of the visit the new Lexus IS was unveiled and it was on display here the very same day. 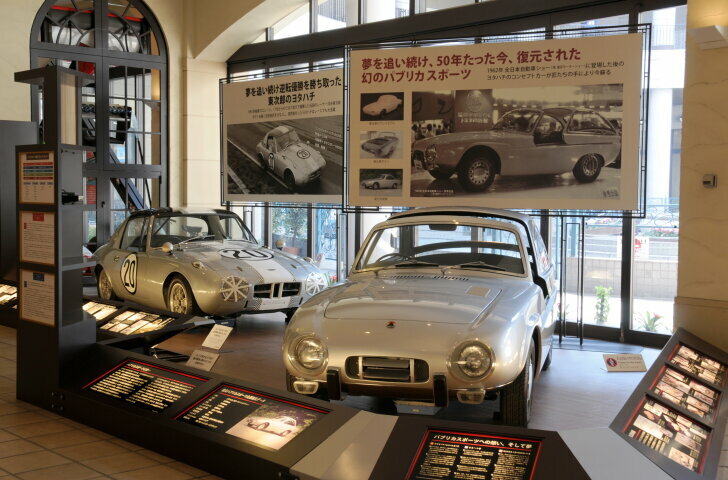 To turn a visit to Mega Web into a real day trip, there's even a car museum named "History Garage". The collection mainly consists of European and American cars. 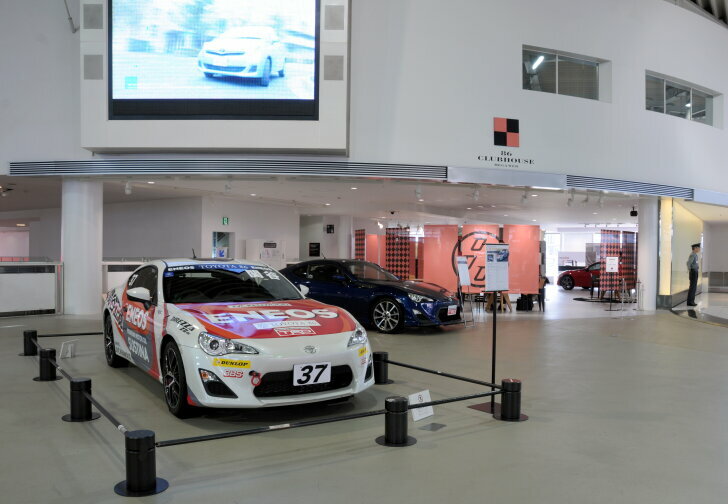 Toyota, or even Japanese cars, play a minor role in this museum. For Japanese people the Citroën 2CV, Renault 4, DeLorean or Fiat 500 are exotic cars which can only be seen in a museum. The centrepiece of the collection is a gorgeous "PAC" Concept: a small sports car from 1962 which was developed by an airplane manufacturer with a strong affection to motor sports. As stated before: Toyota Mega Web does not sell cars. The visitors are never "harassed" by salespeople. Only when asked, the staff will provide the requested information and even offer a test drive. All current models are available for driving at "Ride One". A driver's licence, basic knowledge of Japanese and some patience are the only requirements, because a test drive in this sheltered environment is very popular. The test track is several kilometers in length and features different surfaces like a slalom, a hairpin, a mountain road and, of course, a straight. For this occasion Toyota's top model was tried: the Crown. This is the dream car of many Japanese boys. By using the name for decades that dream can be fulfilled at a later age. The Crown is available in a classic ("Royal") and sporty ("Athlete") trim. The latter can be recognised by the sporty mesh grille, which is affectionately called "lightning grille" by the fans. Even this fourteenth generation is a classic rear-wheel driven vehicle. 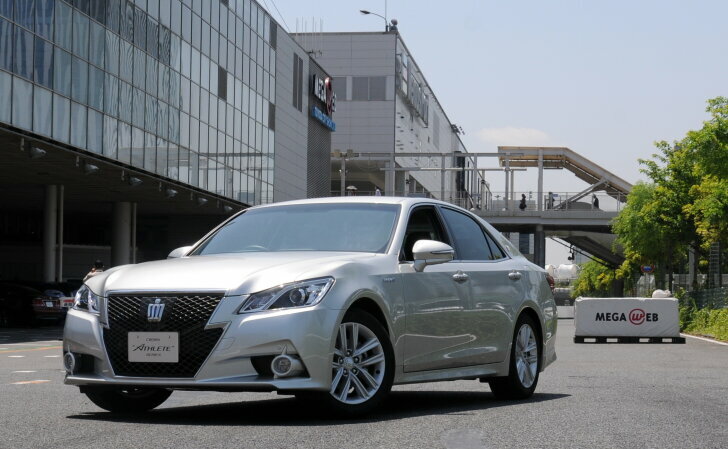 However, the latest Crown is available with hybrid drive. The Crown is a tad larger than a Lexus GS and smaller than a Lexus LS. The ride is completely different from a Lexus. While a Lexus tries to impress with gorgeous materials and sublime handling, the Crown tries to be invisible. The Crown is as good as a Lexus, but the Toyota excels in modesty. The new Crown is the first car developed under Toyota's new CEO. His vision is not to build more cars, but to build better cars. There's no doubt the technicians managed to realise that vision in the new Crown. Even on the short test track the Crown is so easy to drive that it is like an oasis of relaxation. It all becomes clear why the Japanese cherish this car, which at first looks so dull. To lower the treshhold to a car dealer, Toyota opened "Mega Web" in Tokyo in 1999. Its purpose is to make a young generation of Japanese customers enthusiastic about cars. Since there are no salespeople and the showroom looks more like a theme park, there's no pressure on the visitors. The huge number of visitors proves the concept works. However, a visit to Mega Web alone isn't worth a journey to Japan. Mega Web is not aimed at tourists and most products on display are not available in Europe. Yet, duplicating the concept of Mega Web may work in Europe. Toyota faces similar challenges in Europe, so the same solution may work just as well.